How to Turn Your Smartphone Into the Ultimate Spy Tool. You don’t need to be Bond to get your own spy gadgets. You’ve already got the ultimate spy tool in your pocket: a smartphone. And who would suspect you’re spying when you’re probably just texting a friend? 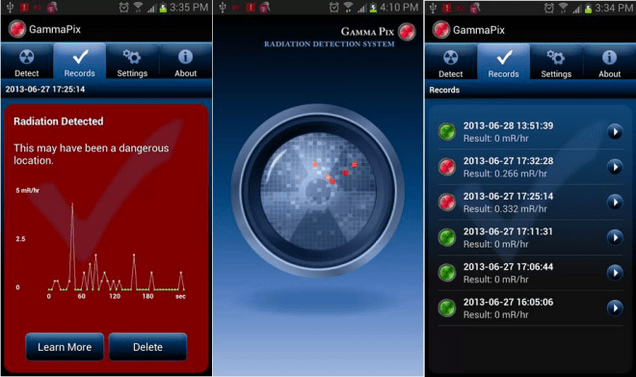 Here are the apps and peripherals you need to take your phone on a covert mission without Q in your corner. Eavesdropping used to mean carrying around a purpose-built recording device. If someone spotted it, the jig was probably up! 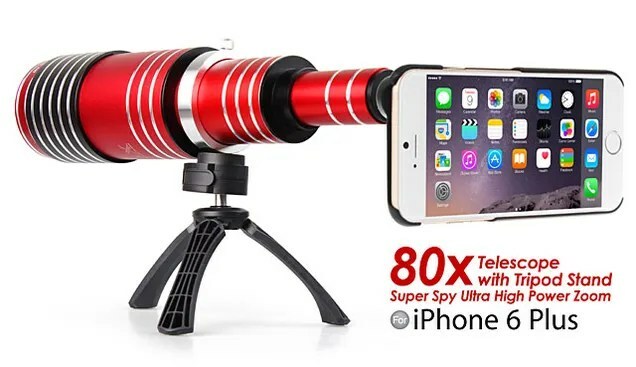 But with a smartphone audio recording app and gigabytes of storage, your phone could theoretically record everything within earshot all day long. Just make sure you know the law. I use Talk-a-Tape Audio Recorder to make sure I don’t miss great quotes in interviews (but I ask people first). But maybe you can’t get close enough to your mar to eavesdrop just by being a dude or dudette on a smartphone? Put on some headphones too. 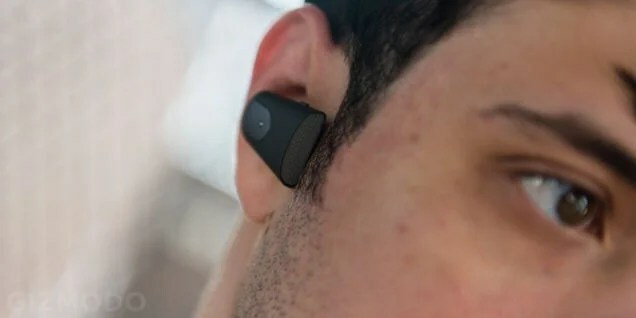 EarSpy is an Android app that routes the audio from your phone’s mic straight to your headset—so you can hear everything around you while remaining that much more inconspicuous. If you’re particularly daring, leave your phone near the mark and use a Bluetooth headset to listen in. And if you don’t want to risk your smartphone but still need to get wireless ears on the target, SoundHawk is a smartphone-assisted hearing aid that comes with a wireless microphone you can leave nearby. If they catch you, just explain that you’re hard of hearing. Hell, use your phone to pull up the company’s website. If you want to covertly snap a photo or video, your smartphone’s a fantastic tool… except many smartphone cameras make an obvious sound, and the extra-large viewfinders mean you won’t be fooling others around you. 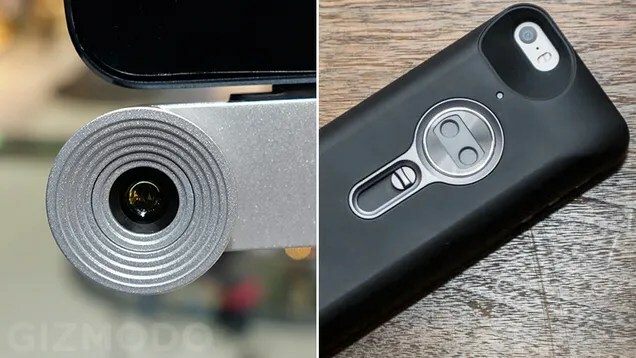 Mobile Hidden Camera for Android is about as stealthy as it gets. The app lets you take pictures from a totally blank screen, or even inside a fully-functioning notepad app. And get this: if you type a designated kill word into the notepad app, it’ll immediately erase all the photos and videos you’ve taken. We’ve also seen other hidden camera apps that can take pictures when you whistle, or when they detect motion. You’ll have to figure out how to hide this one yourself, but some recent phones (including the iPhone 6 and 6 Plus) let you capture ultra high-speed video and slow it down for buttery smooth playback. Which means that nobody in the world can type a password into a device fast enough that you can’t follow their fingers. There are so many reasons a good spy might need a thermal camera attachment for their smartphone, but one immediately comes to mind: keypads. When you’re trying to infiltrate a facility, wait for someone to punch in the code—then look for the residual heat left by their fingers. Assuming they don’t wear gloves. You’re inside the facility. Now what? Don’t get caught! Peek around every corner, look under every door, with this $100 Inspection Scope from Ryobi. 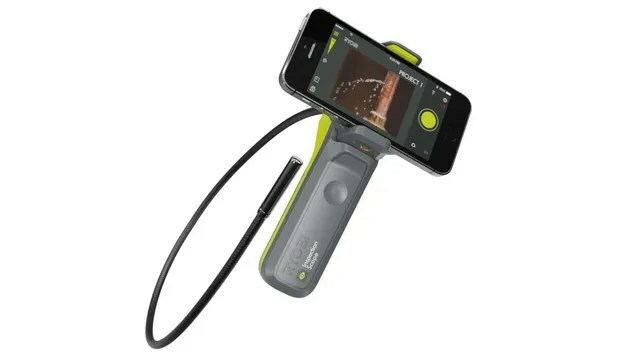 Just one of a collection of snap-on smartphone tools recently introduced by the company. Depending on what kind of facility you’ll be infiltrating, it might not hurt to check your radiation levels. Believe it or not, you can do that with this app and your smartphone’s camera. Even the US military is using it. Time to signal for backup. What do you use? How about a laser pointer so small it can fit into your iPhone’s headset jack? It doubles as a distraction tool or a way to send Morse code messages. Alternatively, there are a number of apps that can use your smartphone flash to send Morse code, too. Your target is leaving the building. How to track them? If you were brazen enough to slip your smartphone into their pocket—or car—that phone can double as a GPS tracker. 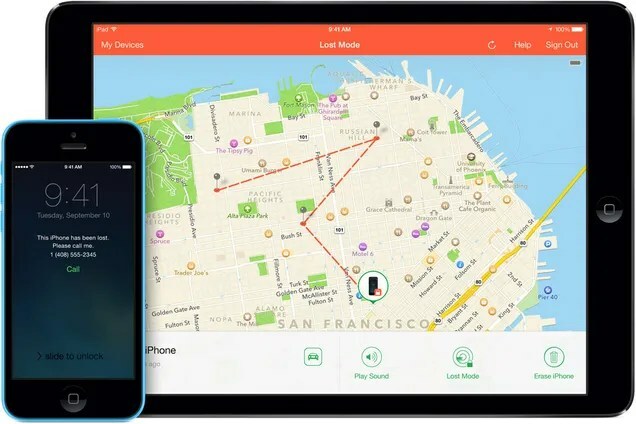 Not only will Apple’s Find My iPhone and Google’s Android Device Manager tell you where your devices are, they’ll let you remotely wipe your sensitive data in case you get compromised. Sometimes, you can’t point your smartphone directly at your mark. Or maybe you want to see around corners in a hurry. 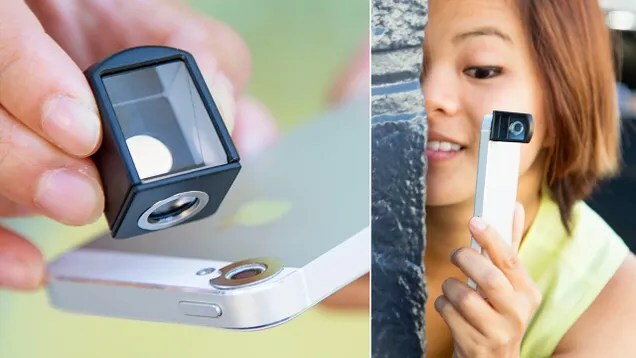 This magnetically-attached rotating periscope lens is a steal for $20 from PhotoJojo. Once you’ve got the intel, how do you safely send it back to base? Nothing’s foolproof, but Wickr’s messaging app sure sounds like it’s got the right features for amateur spying. Military-grade encryption, self-destructing messages, and an anti-screencap design means your sent snapshots will probably stay for-your-eyes-only. The perfect disguise: a camera that looks just like an inhaler. Don’t laugh too much. 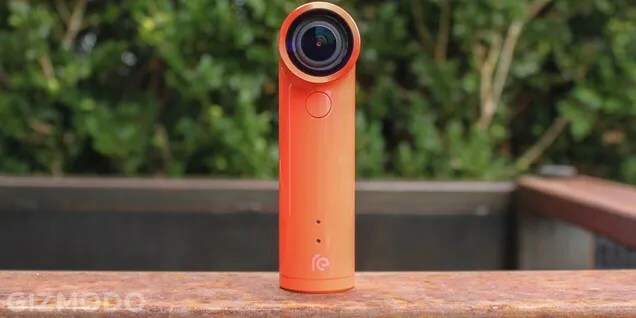 The HTC Re wirelessly beams a live view to your smartphone, which you can now broadcast live on YouTube as well. Give your spy chief an instant appraisal of any situation, then cough, stick it in your mouth, and pretend to puff. No, not this one. But sometimes you’d like to get a little closer to your subject, or get a slightly wider angle, or maybe even magnify some trace substances if you’re also playing detective. The glass you need is out there. No, really. Don’t forget about the internet. Because information is power. 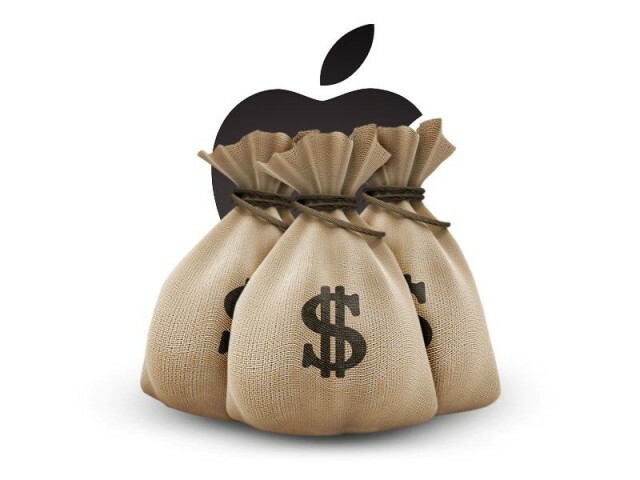 Apple accounts for 93% of smartphone industry profits. Things couldn’t be going better for Apple on the iPhone front. 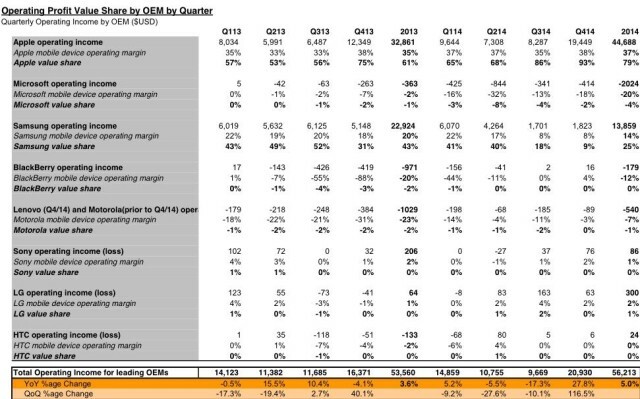 The company just posted the most profitable quarter ever in the history of corporations thanks to strong iPhone sales. And according to the latest report from Cannacord, Apple is basically the only company in the world making money off smartphones. Apple accounted for 93% of smartphone profits in Q4 2014 reports Canaccord Genuity’s Mike Walkley who has also raised his target price on AAPL shares up to $145. That’s bad news for LG, Samsung, HTC and anyone else that makes smartphones, and to make it even worse, Cannacord estimates one third of all smartphone users will own an iPhone by the end of 2018. Walkley agrees with Tim Cook’s assessment that the iPhone 6 still has legs. 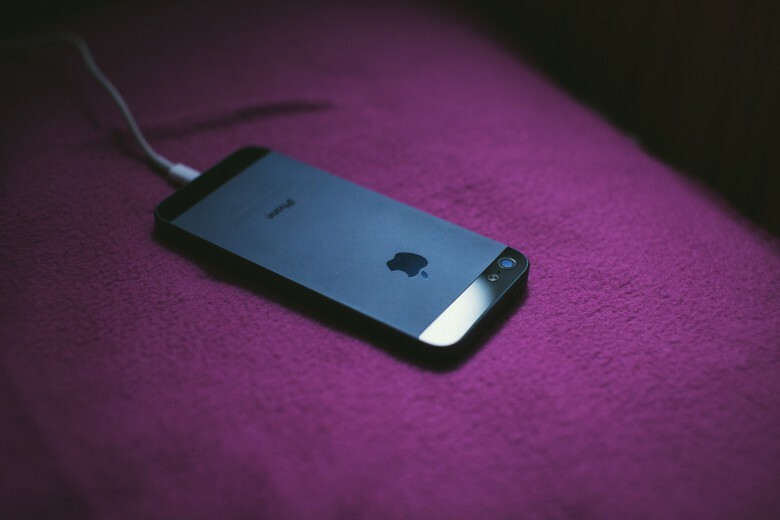 According to his estimates, only 15% of the 404M iPhone users worldwide have upgraded to the new device. Now that Apple’s added a bigger screen, Apple should continue to eat away at high-tier Android smartphones’ marketshare. Samsung was the only other company to make money off smartphone sales, while all other companies are operating at no profit or at a negative margin. Cannacord predicts Apple will increase its install base 20% year-over-year in 2015 to finish with a total of 487 million subscribers. By 2018 that number is expected to his 650 million, or roughly one-third of the projected 1.8 billion global premium smartphone subscribers. It’s an iPhone-controlled paper airplane – of course I want one. There are some ideas so silly they’re irresistibly cool. An iPhone-controlled paper airplane? Of course I want one! The Kickstarter project has already quadrupled its $50,000 goal with 57 days to go. Sophistication Meets Functional Design With The Leverage Case For iPhone 5. Functional iPhone cases are a dime a dozen, but the latest Cult of Mac Deals offer features the Leverage case – a case that is so much more than functional. Sporting a clasp locking system, it not only looks great but it can survive even the clumsiest iPhone owner. With its understated yet elegant design, this case will make your phone pop. The unique clasp locking system is what makes Leverage great. Inspired by high-end watch clasps, the metal latch and lever system are built to last. Plus, with its integrated buttons, the Leverage iPhone Case never gets in the way. If you’ve been on the hunt for an iPhone case that is both stylish and secure, then you can’t go wrong with the Leverage . Logitech Buys TidyTilt Maker, Immediately Starts Accepting Pre-Orders. Logitech has today announced that it is acquiring TT Design Labs, a two-person startup responsible for the TidyTilt cover for iPhone. The deal will make Logitech the owner of TT’s assets, and the accessory giant has already made the TidyTilt available to pre-order. You may have heard of the TidyTilt before; it began as a Kickstarter project back in 2012 that was so successful it ended up raising more than 2000% of its funding goal. The cover attaches to an iPhone using magnets, then provides the same kind of functionality you get from the iPad’s SmartCover, including the ability to fold it up and use it as a stand. 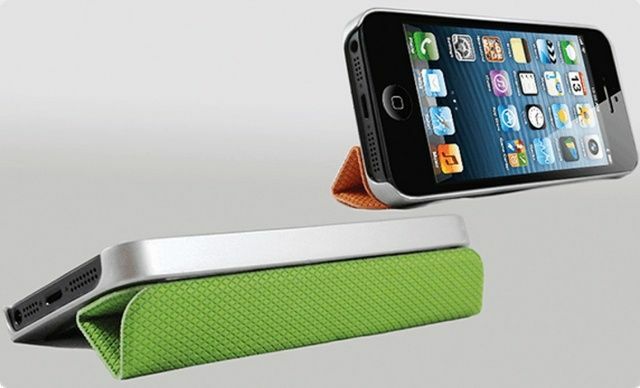 It also transforms into a little carry case for your iPhone’s earphones.